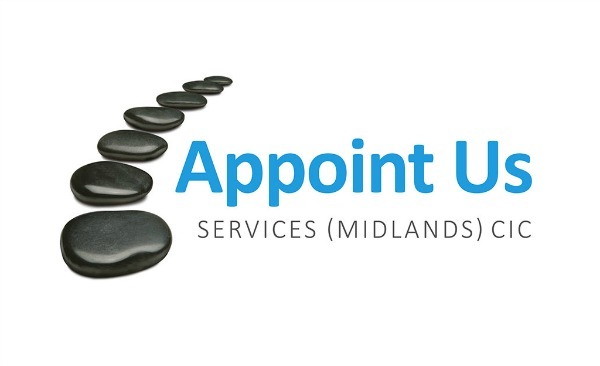 Appoint Us Services is a Community Interest Company working closely with the local community to provide a wide range of person centred services. All of our services are individually tailored and we pride ourselves in being a unique organisation. Appoint Us Services was formed to provide a pathway to making life easier for people and offers many services that support independence. All our services are client led and delivered by experienced staff. We have an office in Coventry and although our services are predominantly delivered in Coventry, Warwickshire and adjoining counties, they can be delivered anywhere throughout the United Kingdom. By providing staff at carers events that are able to take the carers and give them 1:1 time away from the cared for and either offer them information and advice or pampering makes them feel acknowledged and valued and they know their cared for are safe as we provide staff and activities to support them. All carers need a break and feel better for it. The community benefits greatly by the services we provide offering support to vulnerable lonely elderly or mentally or physically unwell people. We have a bespoke person centred transparent service getting over 80% of referrals by recommendation/word of mouth. GP’s: Do people visit your surgery through loneliness? Do you not know where to send them? Hospitals: Do you have someone ready for discharge but they need some help at home? Professionals: Are you a busy working professional with ageing relatives you are struggling to support? Solicitors (Private Client) Do your staff understand the benefit system? Are your clients getting the right money? Police: Do you have someone in custody that needs an Appropriate Adult? People Directly: Are you isolated or lonely? Do you need help at home? People themselves benefit from our services by having their independence supported and someone reliable and that they can trust to help them reach their desired outcomes. By delivering benefit awareness sessions to professional deputies and attorneys this has ensured an increased level of professional awareness and the right benefits being claimed at the right time by the right people. At the beginning of each contract we ask people (customers and/or families) what they want their outcomes to be. We provide regular feedback forms, do announced and unannounced service review visits and have 1:1 support sessions with staff on a regular basis to discuss and assess their achievements and assess where we are in regard to desired outcomes. Our feedback enables us to improve our journey towards continuing excellence. We are trying to raise funds for a CRM system that is better placed to record the in formation we want in order to provide consistent and reliable reports on outcomes, benefits achieved, social impact etc. We know we are getting it right because of the high number of recommendation referrals we get, the positive number of testimonials and excellent references we get and conversely the low level of complaints. If we have a reliable recording system this will allow us to share accurate information and reports with stakeholders, other organisations and in the media. A provider telephoned, with the client’s permission. A customer is struggling to pay bills and has just received a threat of disconnection of utilities due to non- payment . This has caused extreme distress to the client and the threat of bailiffs mentioned in the letter is frightening. The reason for the situation was a hospital admission. We completed an initial visit to meet the customer and offer them some reassurance, making them aware of who we are and how we might help. With their agreement we looked at all the current bills, liaised with providers to safeguard utilities and prevent any disconnection or court action. We supported the customer to open an account purely for bill payment and then applied to put direct debits in place. We did a benefit check and discovered entitlement to benefits they were entitled to but not claiming. We helped them make a claim which increased their income by almost £400 a month. By the end of the 12 week period we organised all of the paperwork into workable files that the customer understood and showed them how to use the system going forward. To enable them to feel more in control of budgeting we supported them to buy shopping cards which could be kept safely and used in the event of emergencies. We worked with them to set up a standing order from their main account to the bills account to cover the outgoings. We explained what the money left in the main account was for. We monitored the situation including, or advising the customer in all actions. This enabled the customer to regain control of their finances and regain financial independence. Before we ceased to remain involved we supported the customer to ensure that they are using the best value utility provider and supported a switch . We also advised of our contact details for future use. All debts were being paid by direct debit along with current usage bills, customer understood his budget and paperwork system and was able to regain financial control. His “I” outcomes are achieved “I want to be in control” “I want to be debt free” ”I want to keep my home” I want to be warm” I want to have money for food”. An example of service quality, is an occasion when we had a team working with a lady who were able to identify that her son was trying to overdose her over Christmas and New Year in order to expediate his inheritance. They immediately put safeguards in to place, raised alerts with the police, Adult Safeguarding, her solicitor (POA) and her other son. Our staff team worked around the clock 24 hours over Christmas and New Year to keep her safe whilst solicitors were closed for the Christmas period. Appoint Us recognised the absolute hard work and dedication of its staff and they were all recognised with a voucher and letter of appreciation from the management. We are pleased to write with our endorsement of Appoint Us. We have worked with Appoint Us over the last 3 to 4 years. We have uses their services in connection with our older client services, often where one of our Directors is acting as the Court appointed deputy, and in particular we have employed Appoint Us for mental capacity assessments, independent welfare reviews and the provision of care services for our clients either in a residential care setting or in their own home. We have found Appoint Us to be professional at all times, providing good insight into client needs and being responsive to those needs. Appoint Us have communicated with us in an effective and timely manner, so that we have been able to make informed decisions in the client’s best interests. We have of course used other service providers in this area of work, but Appoint Us have impressed to the point where they are our preferred provider. The correctness of our judgment in this regard was very recently affirmed during a Court of Protection quality assurance visit. The focus of the visit was to assess our conduct of the affairs of clients for whom we are responsible as the Court appointed deputy. A number of our files were closely reviewed. The assessor specifically commented on the effectiveness of Appoint Us in the role of delivering care services, and the thoroughness of their welfare reports. This must be considered a significant commendation, given that the assessor sees a good many deputyships every year. Mom had always been fiercely independent and had long since let it be known that she would bar the door of her bungalow and burn the furniture to keep warm before she would ever move into a care home. But then, in the summer of 2013, Mom broke her femur while visiting family in Canada and returned to England to be hospitalized in Stratford Hospital with seemingly bleak prospects of ever being able to return to independent living. Happily, that is when Appoint Us entered her life – and changed it forever! It was Appoint Us who supported Mom to move back home after that hospitalization and advocated for her to receive Attendance Allowance. When Mom turned 90 in January 2014, it was they who turned her birthday (which would otherwise have been just another day) into a celebration with a small “surprise” party at a tea house in Stratford. It was they who took Mom to, and supported Mom with, essential dental, eye and doctor’s appointments. When Bella was diagnosed with a narrowing artery and a defective aortic valve later that year, it was they who supported Bella through all the pre-operative tests leading up to a TAVI (Transcatheter Aortic Valve Implantation) procedure at the Wolverhampton Hospital that Christmas time. And it was they who supported Mom with daily visits during her hospitalization over that Christmas holiday (and a subsequent chest infection) and who supported her through all the post-operative visits, so that she could literally “breathe easier” afterwards. It was they who accompanied Mom in making some trips to the theatre in 2015, when she would otherwise never get out. And it was they who supported and advocated successfully for Mom through two successive hospitalizations in the summer of 2016, when she would otherwise have been discharged prematurely. And it was they who arranged to enlist the services of another company to supplement Appoint Us when Mom needed an enhanced level of care to enable her to return to living in her bungalow afterwards. And it was they who successfully advocated for and supported Mom to receive a direct payment from the County Council in November 2016 to help to pay for the additional level of care services that she now requires. And the list goes on. Mom is truly a “woman alone” and hers is just one story but there are regrettably many other seniors with similar stories whom Appoint Us support. Appoint Us - are honouring our seniors every minute of every day in the most fundamental way possible – with their compassion, their companionship, their advocacy, and their care.